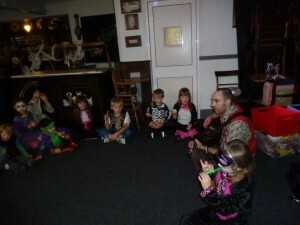 Tarquin Childcare Services is principled by Cornwall’s premier children’s entertainer, Tarquin Andrewartha, providing high quality, sssuperfun childcare and entertainment services throughout the county. With over 20 years of experience working with children, we are known and loved by oodles of children and grown-ups alike, catering to children of all ages and backgrounds, with a variety of needs. There’s nothing we find more rewarding than inspiring happy, content, confident children. That’s why we make it our mission to involve everybody, with a focus on learning, development and most importantly, fun! Click on the links above to find out more about me and the things we can do to for your little people! Last one there’s a rotten egg!